← The Chili Cook-Off this Sunday! Parade gathers on Market Street between Church & Darlington and continues down Market and up Gay Street. Marching bands and cheerleading performances are featured. Families and groups are welcome to participate. 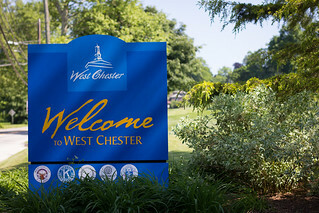 Call the West Chester Parks & Recreation at 610-436-9010. Enjoy the costumes, the kids, and the fun starting at 7pm. You may know me as the big guy that works at Fred’s Avalon. I came across your post here and have a question for you. I own a bar, restaurant, entertainment and nightlife magazine. I am launching WC Social in a couple days, or goes to print in a couple days. I was wondering if you would be interested in writing an article about WC and the restaurants. What are your thoughts? That sounds like somethings we might be interested in! You can contact us by phone 610.459.4444 and ask for John or Greg… Looking forward to speaking with you!